The makers of Sonam Kapoor's Neerja have released a statement clarifying they do not owe any contractual obligations to the family of slain stewardess Neerja Bhanot, after the producers of the biopic were accused of criminal conspiracy. Directed by Ram Madhvani, Neerja has been co-produced by celebrity photographer Atul Kasbekar's Bling Unplugged Productions and Fox Star Studios. In a fresh statement on Wednesday, Fox Star Studios said that Bling Unplugged Productions had acquired the necessary rights to make the biopic even before the studio was roped in to produce the film. "Fox Star Studios is extremely proud of its film Neerja and holds the Bhanot family in great esteem. However, the facts are that the studio does not have any contractual obligations towards the Bhanot family as the life rights and permissions were obtained by Blingg Unplugged from the late Neerja Bhanot's family long before Fox Star Studios came on board to produce the film," reads the statement, reported IANS. Fox Star Studios added that with respect to the movie, they only have commitments to Bling Unplugged and that they are "honouring its contractual obligations towards Bling Unplugged," reported IANS. 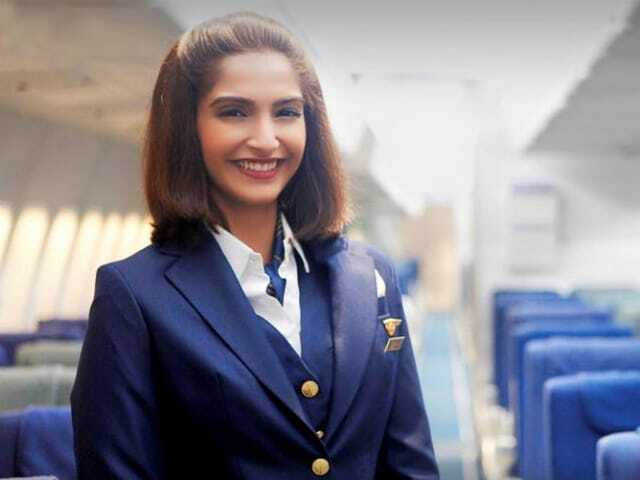 Neerja, which released last year, collected Rs 125 crores at the box office. Just a month after Sonam received a special mention at the National Awards for Neerja, the family of Ms Bhanot petitioned to the Punjab and Haryana High Court alleging that the makers failed to pay the promised 10 per cent of the collections. Previously, IANS had reported that in their petition, the Bhanots stated they were offered Rs 24.57 lakh in July 2016 as their share, which they refused to accept. The Bhanots also mentioned being 'exploited' by the producers in the petition. In May, Mr Kasbekar told PTI that the Bhanots are asking for an extra share from what Fox Star Studios has earned as profit. "Their share of the profits, which is a share of ours, has been immediately offered. They have declined to accept the same and now wish to get a share of the studio (Fox Star) profits," he told PTI. But Aneesh Bhanot, brother of the slain stewardess, had told IANS a different version: "When it came to paying 10 per cent of the profits, the producer contended that Fox Star Studios were to keep 80 per cent of the profits while Bling was to get the rest. We were offered a pittance which we refused to accept. We were to put the money in a Trust in the name of Neerja and help other people." "It's unfortunate that Bling and Bhanot family have not been able to resolve their disagreements. The life story of Neerja Bhanot inspired the nation and the movie created history, created memories that we deeply cherish, memories that will last forever. We hope for quick resolution to the ongoing issue," the Fox Star Studios statement added, said IANS. Neerja is the biopic on Neerja Bhanot, the Pan Am chief purser who was killed while saving passengers on board a hijacked flight in 1986. She became the youngest recipient of the Ashoka Chakra Award.